Near the end of January, I reported in my News Roundup about the potential demolition of the Lipscomb House at 223 6th Street, North in Columbs. 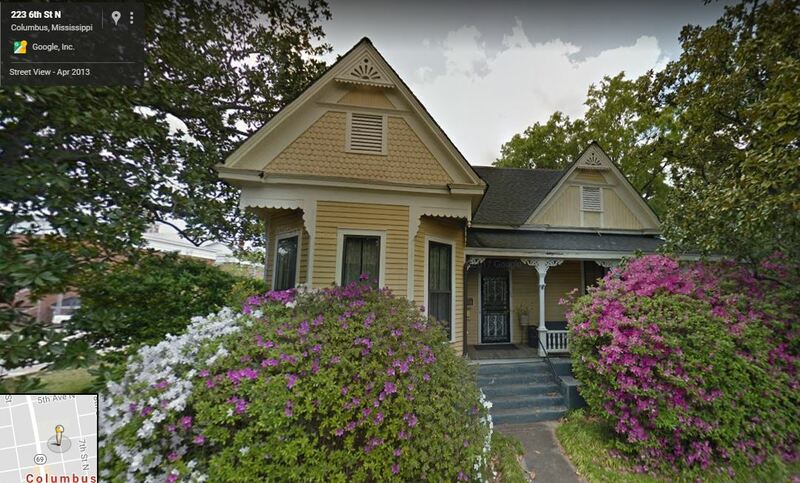 The Lipscomb estate, represented by attorney David Sanders, is currently attempting to use an argument of economic hardship to force the Columbus Historic Preservation Commission to allow the estate, acting for the Lowndes County Board of Supervisors, to demolish the Lipscomb House. This demolition is an action the estate has pursued for months. In December, the Columbus Historic Preservation Commission granted a three month moratorium on making any decision regarding the demolition of the historic Victorian house. As the moratorium nears its end and a decision will soon made about the fate of this historic house, likely at the Columbus Historic Preservation Commission’s March 5 meeting, I believe it is time to look at an aspect of historic preservation that preservationists should be aware of, the economic hardship provision, both in general and how it pertains to this particular house. Now, here is a caveat before going any further. I am not a preservation lawyer. I was a member and, later, chair of a local historic preservation commission. Although I never had to deal with any economic hardship or takings issues while serving on that historic preservation commission, in my position as chair, I attended various historic preservation training sessions and had to learn about those concepts and how the actions taken by the commission could not go over the line into a situation where a property owner would be able to successfully claim that the commission had deprived him or her of his or her property rights. So, my opinion on the matter is that of a well-informed and educated historic preservationist, but if dealing with such a situation, I would advise reading guides such as Takings Law in Plain English by Christopher J. Duerksen and Richard J. Roddewig (a guide that is a source for this post) as well as contacting someone who has more personal experience with economic hardship and takings law than myself. This is an overview to help historic preservationists become more acquainted with these aspects of historic preservation law. The economic hardship provision is an often misunderstood section of historic preservation law. Economic hardship has nothing to do with a property owner’s economic status. Legally, you cannot apply historic preservation guidelines in a different way for a property owner in financial difficulties than you would for a property owner with beaucoup bucks. That would violate the Equal Protection Clause of the Fourteenth Amendment. Economic hardship instead refers to the affected property’s economic status. Every historic preservation ordinance has an economic hardship provision; an ordinance without it would be open to a successful legal challenge from an aggrieved party because it could be argued that the ordinance does not consider the economic effect of a historic preservation commission’s decisions on that party and the decisions would therefore constitute a taking (a regulatory taking in this instance, where governmental regulations have so limited the viable economic use of the property that the government has “taken” it for public use without just compensation). Unlike every other form of zoning, historic preservation protections must be able to be applied within the sometimes narrow confines of current economic conditions, something heard often when properties are designated historic but far less often when they are rezoned R2 or C1. It should be established here that historic preservation in the form of locally-designated historic districts is merely a form of zoning. Despite all the vitriol and controversy that often accompanies the creation of local historic districts, it is legally no different than rezoning a property from R1 to R2, the act of which rarely draws a crowd at the local zoning board meeting. When a local historic district is created and the properties within that district are designated as historic, they are merely zoned historic with a special zoning board – a historic preservation commission – established to make sure the historic zoning is adhered to. Most courts in recent years have assessed the economic impact of a land-use regulation by determining whether the owner is left with a reasonable economic use of the property. Simply denying the so-called ‘highest and best use’ of a property does not give rise to a taking. For example, if a historic building can be rented out profitably, denying the landowner the ability to demolish it to make way for a high-rise office building, thereby reducing the parcel’s speculative value, does not give rise to a taking. Communities clearly have the authority to adopt laws and regulations that are designed to protect and enhance the quality of life of their citizens. The regulation of private property will not constitute a taking, as long as the property owner retains some viable use of the property (particularly as measured by the owner’s reasonable investment-backed expectations). In deciding whether a particular governmental action has caused a taking, a reviewing court must examine the effect of the regulation on the entire property, and not focus on any one specific segment or interest. and offsetting regulatory burdens with available economic incentives can be an important factor in evaluating and preventing successful takings claims. “reasonable” expectations do not include those that are contrary to law. 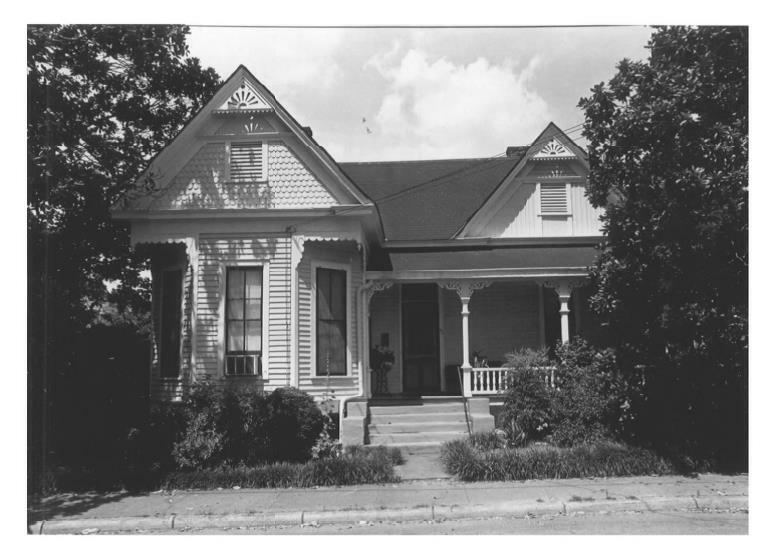 Thus, an applicant’s expectation of demolishing a historic property subject to a preservation ordinance at the time of purchase, or likely to be subject to a preservation ordinance, would not be “reasonable.” Also pertinent is whether the owner’s objectives were realistic given the condition of the property at the time of purchase, or whether the owner simply overpaid for the property. Under takings law, government is not required to compensate property owners for bad business decisions. Nor is the government required to guarantee a return on a speculative investment. Commissions may also be able to take into account whether the alleged hardship is “self created.” Clearly relevant is whether the value of the property declined or rehabilitation expenses increased because the owner allowed the building to deteriorate. The above is a broad national overview of economic hardship as a concept in historic preservation, but how is it specifically applied in Mississippi? The commission shall review applications proposing construction, alteration, demolition or relocation of any resource or subdivision of tax parcels designated as landmarks or landmark sites contained within a historic district. The document granting such an application shall be known as a certificate of appropriateness. No commission may deny a certificate of appropriateness for demolition if denial of such a certificate would cause unreasonable economic hardship to an owner. 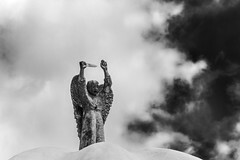 The governing authority of any county or municipality, individually or jointly, is authorized to make appropriations to a historic preservation commission, in any amount that it may determine necessary for the expenses of the operation of such commission…Said governing authorities shall not be empowered to acquire by eminent domain any historic preservation properties unless such properties are needed for governmental purposes other than historic preservation. Since preservation commissions are prevented from acquiring property through eminent domain (a taking) for historic preservation purposes, any ruling for a property owner of economic hardship (a regulatory taking) would, at the least, come very close to breaking state law, which is not something any preservation commission wants to do. The preservation commission may require that an applicant furnish additional information relevant to its determination of unreasonable economic hardship. The preservation commission may receive and consider studies and economic analyses from other city/town/county agencies and from private organizations relating to the property in question. Should the commission determine that the owner’s present return is not reasonable, it must consider whether there are other uses currently allowed that would provide a reasonable return and whether such a return could be obtained through investment in the property for rehabilitation purposes. Should the applicant satisfy the commission that he will suffer an unreasonable economic hardship if a certificate of appropriateness is not approved, such certificate must be approved. The MDAH’s sample ordinance is thorough and fair, but does Columbus’s ordinance differ from it, and, if so, is there anything in Columbus’s historic preservation ordinance that would make an economic hardship argument easier to make? So, considering all the legal cases and regulations covered above, let us specifically examine the Lipscomb House, first with a history of the house and the current demolition threat facing it. 195. 223 6th St. N. Queen Anne. One- and-a-half -story multigable-on-hip-roof frame residence: clapboard siding; fish-scale shingles in a gable area; extend front side gables with bracketed chamfered corners; encircling verandah supported by bracketed and chamfered posts. 1885-1890. As we are well aware of on Preservation in Mississippi, National Register listing carries with it no appreciable protection from demolition. Locally designated historic preservation districts are the only types of districts that do. But, the Lipscomb House is part of the Columbus Historic District (which has been referred to by a variety of names in different sources, including the Columbus Historic Preservation District and Downtown Historic Preservation District, but Columbus Historic District is how it is referred to in the city designation ordinance), which was created in 1996. So it falls under the rules regarding demolition and economic hardship listed in Columbus’s ordinance. 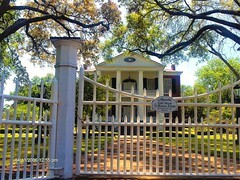 At the time of its listing on the National Register, it was owned by the Lipscomb family; in this case the listed owner was Mrs. Edwina Lipscomb, not the late Randolph Lipscomb, but apparently (based on statements about him) he agreed to place the house on the National Register and was proud of the status. Randolph Lipscomb, presumably, inherited the property sometime after 1980. He owned it until his 2017 death, using it as his law office. 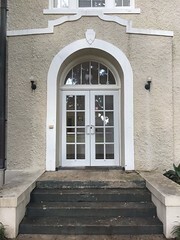 After his death, the Lowndes County Board of Supervisors, led by Lipscomb estate attorney David Sanders’ brother, board president Harry Sanders (who has not recused himself from board business regarding this house), agreed in November 2017 to purchase it from his estate for $190,000 for use as a parking lot on the condition that the house be demolished before the sale. The board is planning a courthouse expansion project and is engaging in efforts to purchase and demolish all the remaining private property on the courthouse block. The demolition of 512 3rd Avenue, North (just west of the Lipscomb House) in late 2011, the Waters Building (across the street from the courthouse) in August 2016, and the Lowndes County Courthouse Annex’s in September 2017 are part of that project. Two independent 2017 appraisals both valued the property at $190,000 and described the house respectively in “relatively good condition” and “structurally sound,” with the first appraisal estimating that $25,000 would be needed to repair neglected landscaping and upkeep. Despite that, David Sanders has stated that the house is in poor condition, that it was unwanted by any buyers except the Board of Supervisors during the few months it was for sale, and that “The Lipscomb estate, without going into details, is not in the best financial shape. All the property the Lipscomb estate owns is mortgaged,” while quoting economically unfeasible restoration costs that include the costs to move it off the lot and reassemble it elsewhere. However, despite Sanders’ arguments, I believe that a denial of demolition of the Lipscomb House does not create an economic hardship for the Lipscomb estate and does not constitute a regulatory taking. The “highest and best use” of the Lipscomb House is, at this moment, in the argument of the estate, as a parking lot with the historic house demolished. But, the estate cannot claim economic hardship simply by being denied a certificate of appropriateness for the house’s demolition, since any denial of demolition does not preclude the estate from engaging in other profitable uses of the property, for instance, using it as a law office, which it was used as for years by Randolph Lipscomb. The house may also be used as some other form of office or, less realistically given the surrounding neighborhood, as a residential property. While the Columbus historic preservation ordinance states that a reasonable return from investments cannot be jeopardized and must be agreed to by the owner and the commission, courts have ruled that reasonable does not mean things contrary to the law. Then it could certainly be argued that reasonable does not mean gaining the highest return possible by attempting to demolish a legally protected house and selling the vacant lot to Lowndes County. The house’s condition must be taken into consideration when determining whether it is economically feasible to restore, but what also must be taken into consideration is whether the neglect is self-inflicted by the owner on the property. The Lipscomb family has owned the house for at least thirty-eight years, which means the condition of the house is wholly the current owner’s responsibility provided that Randolph Lipscomb and the Randolph Lipscomb estate are considered one owner (I have to admit, I found little guidance on whether they should be considered as one entity for the purpose of house maintenance). Regardless of the ownership, the condition of the house is, as we read earlier, “structurally sound.” Even the $25,000 in maintenance and updates cited in one appraisal is not, for a structurally sound house, considered to constitute an economic hardship when the house (excluding the land value) is worth several times that amount, based on the current appraisals and the current assessed value. Sanders’ argument that the estate is not in good financial condition has no bearing on an economic hardship determination because the estate’s economic situation is not being determined, only the Lipscomb House’s economic situation. The house’s mortgage must be examined but not any other mortgages that estate has. The conditions as to how and why the mortgage was taken out should be under consideration, because the house appears to have been inherited by Randolph Lipscomb. If it was, that raises the possibility that the house’s mortgage is a reverse mortgage taken out by Randolph as he got older. Since there is no consensus on whether reverse mortgages are economic boosts to elderly homeowners or scams, a reverse mortgage on the house could fall into the category of a self-created financial problem. The Columbus Historic Preservation Commission and the City of Columbus have no obligation to compensate the estate for a bad business decision. The above three paragraphs lay out why an economic hardship argument cannot be successfully made for the Lipscomb House; so that means it cannot be demolished, right? Wrong, the above case study is simply a thought exercise since I believe that even though the house will not be demolished due to any economic hardship provision, it will likely be demolished for another, even more disappointing reason. 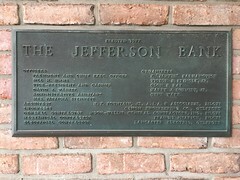 If an application for a certificate of appropriateness is for the demolition of a resource within a historic district or a landmark or landmark site, action upon such application shall be stayed for a period of 180 days, during which time the commission and the applicant shall undertake meetings and continuing discussion for the purpose of finding a method to save such property. During such period, the applicant and the commission shall cooperate in attempting to avoid demolition of the property. At the end of said 180-day period, the commission shall meet again to discuss the application and if no mutually agreeable method of saving the property bearing a reasonable prospect of eventual success is underway, or if no formal application for funds from any governmental unit or nonprofit organization to preserve the property is pending, the commission shall notify the city, and the building official, upon written notice of the city, may, but is not required to, issue a permit for demolition without a certificate of appropriateness having been issued. What that boils down to is that if a property owner wants to demolish a historic building and the Columbus Historic Preservation Commission does not want the building demolished but after 180 days the property owner’s opinion has not changed with no one ponying up the money to buy the property, then whether it is demolished or not rests on whether current building official Kenneth Wiegel believes it should be preserved and whether, in the case of the Lipscomb House, he is willing to defy the Lowndes County Board of Supervisors. That is a weak historic preservation ordinance by any measure, whether the building official is a historic preservationist or not. But, Columbus can claim it is not alone in making it a requirement to basically buy a building to ensure its preservation or entrust its preservation to a single governmental official. That is how historic preservation is conducted in one of the worst cities for historic preservation in the world: Hong Kong (which is why that city of 7.4 million people has only 114 officially preserved buildings, a worse ratio than Columbus but closer than one might think). This post is not about beating up on Columbus for its historic preservation deficiencies, it is about highlighting a concept that all historic preservationists must be aware of: economic hardship. 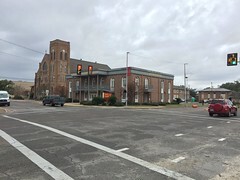 From the Coast to Corinth, preservationists in all parts of Mississippi have to be conscious of what an economic hardship argument is and how local historic preservation commissions can avoid making decisions that could allow such an argument to be successfully made against them. The decks are heavily stacked against historic preservation in this state. Extensive knowledge of all historic preservation concepts is one of the few things historic preservationists can use to make it a little closer to a fair fight. Very well written and informative, W.! Sad, but true: The county doesn’t have any plan or need for the property. They just want to “control” adjacent real estate at taxpayers expense. Lock and load, Mr. White!…Another ante-bellum home set for demolition in historic Columbus. With your MSU connections, do you think that the MSU alumni association would be interested in find group members who would buy these properties for weekend stays as they attend sporting events in the Spring and Fall? There are already alumni groups and families renting homes from locals for stays just on the weekends in Lowndes and Oktibbeha county. MSU was a very different institution when I attended compared to how it was when many earlier alumni attended. The student body was about 16,000 my freshman year and 19,000 four years later (there are about 22,000 students there today, the enrollment slowing with the administration realizing that you cannot increase a student body that rapidly without noticeable problems, like where are they going to eat and sleep) with my graduating class probably numbering somewhere around 2,000. I only know a very, very small fraction of those fellow alumni, so I do not believe my MSU connections will be much use in helping to save the Factory Hill-Frog Bottom-Burns Bottom Historic District from needless demolition. Your idea does have some merit, though it might be difficult finding alumni willing to give up their cookie-cutter condos for restored Antebellum and Victorian houses. Mr. Gentry, I have started a Facebook group called “Burns House Preservation Project” if you would like to join! The Columbus Redevelopment Authority was approached by Mr. Bob Raymond with a cash offer to buy and renovate the Burns/Cannon house. CRA did not act on that offer. Not sure their political agenda incorporates preservation. Lipscomb house was given a two week stay of demolition. Would follow the money on this one. 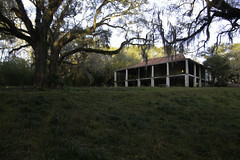 Possible effort of the Lowndes Supervisors to pay for the demolition prior to purchase. It’s amateur hour in Possum Town, yall.